The Philippine–American War, also known as the Philippine War of Independence or the Philippine Insurrection (1899–1902), was an armed conflict between the United States and Filipino revolutionaries. 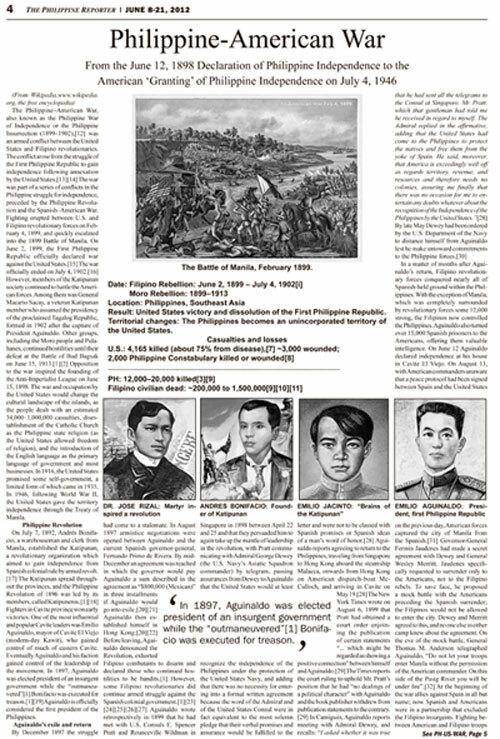 The conflict arose from the struggle of the First Philippine Republic to gain independence following annexation by the United States. 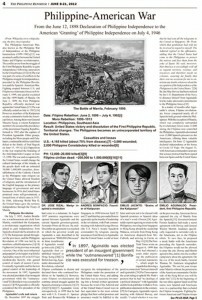 The war was part of a series of conflicts in the Philippine struggle for independence, preceded by the Philippine Revolution and the Spanish–American War.